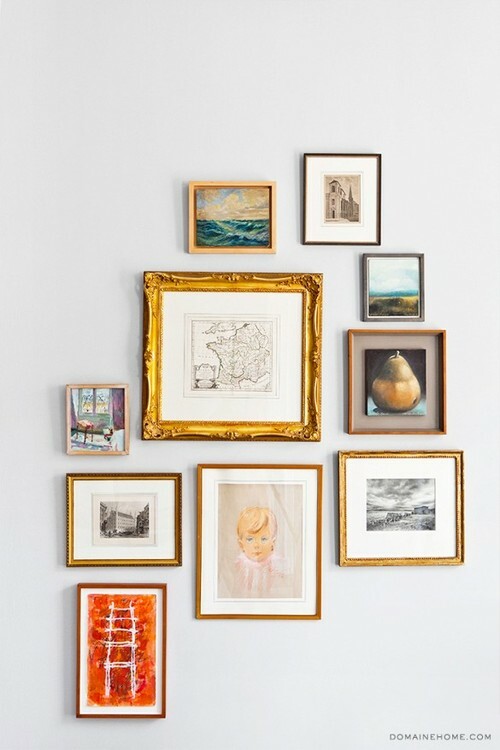 Quickly becoming one of the biggest trends in homeÂ décor, the gallery wall is here to stay.Â Check out our tips on how to curate and install the perfect gallery wall for your home. Curate:Â Choose a variety of different styles. 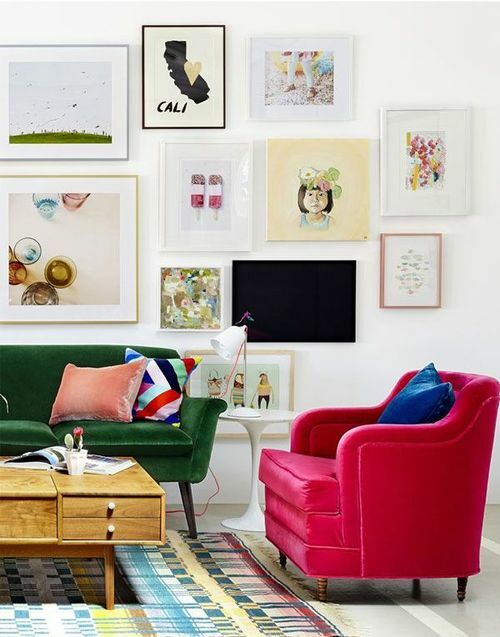 A successful gallery wall is all about the contrast! We love the idea of mixing black and white photos with a bright vibrant print or combining a vintage painting with an arrangement of modern graphics. Frame:Â Do you want all of your pictures to have the same frame? Or are you willing to get funkier and mix it up? 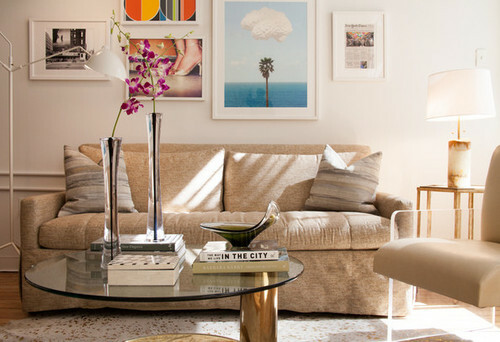 We love the look of arranging frames in varying colors and styles. Arrange:Â Pick a format. You could go for a classic rectangle or a square shape, or think outside the box with anÂ asymmetrical frame. Tip:Â Block it out first by tracing the size of your frames onto scratch paper and then play with the arrangement before you commit to actually hanging your pieces. Hang:Â Once you’ve chosen your layout, it’s time to break out the tools and start hammering! 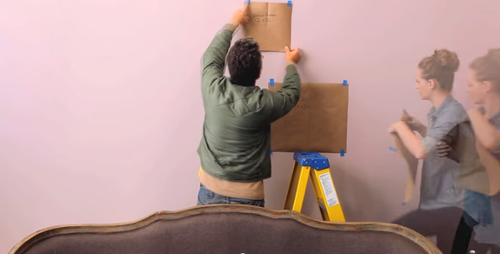 Make sure to use a level to keep your wall looking polished and even. Need more inspiration? We recently created our own gallery wall in our Soho office. See the final results onÂ Lonny! Ready to build your own wall? Check out our collection of gallery-ready artwork. 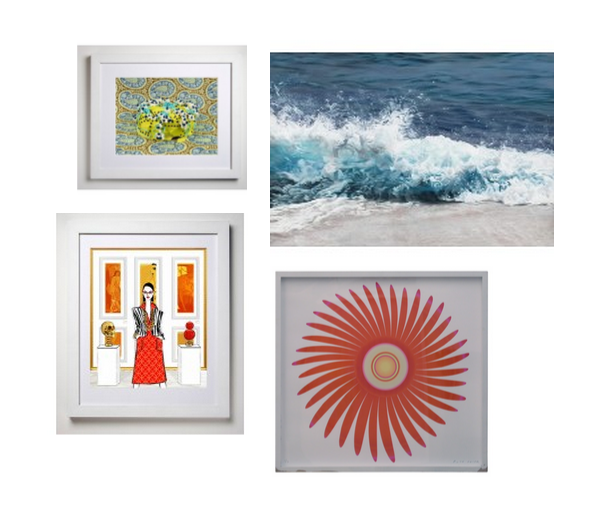 ArtStar Confections 42 Print, ArtStar Maldives Print, ArtStar Gallery Owner Print, Wind Flower Print by Ruth Adler.